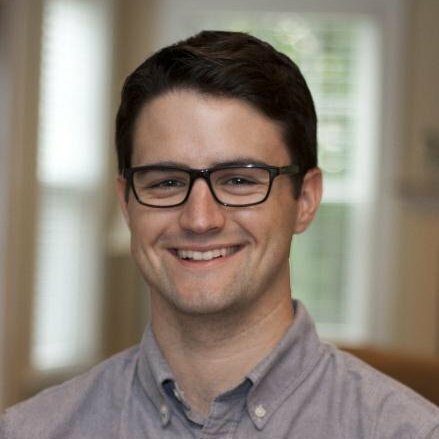 By Daniel Murphy, Marketing Manager at Drift. A few years ago we started thinking about a world where websites run on conversations and not forms. Skip to today, and we are on a mission to kill the form as we know it. 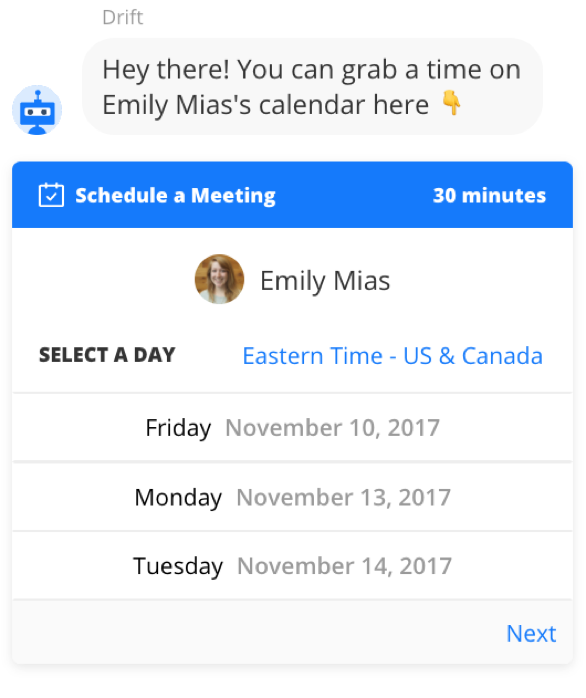 We've teamed up with Clearbit to help us replace forms with personalized, one-on-one conversations. You may think the secret to converting your highest value accounts is account-based marketing, but there’s one problem. Most ABM campaigns direct VIPs of target accounts to lead forms. In other words, they’re making already qualified leads, re-qualify themselves. How do you think that’s going to affect your conversion rate? You already know the minority of visitors convert on your lead forms. But that extra step and bad experience is going to hit you where it hurts: your conversion rate. Wouldn’t it be better to offer your VIP a real-time one-on-one conversation? That is after all what your sales team really wants, to talk to these dream customers as soon as possible. I’m here to show you how to use conversations instead of forms so your sales team can talk to more of their target accounts. We’re going to use Drift, Salesforce and Clearbit Reveal to make this magic happen. Let’s dive in. 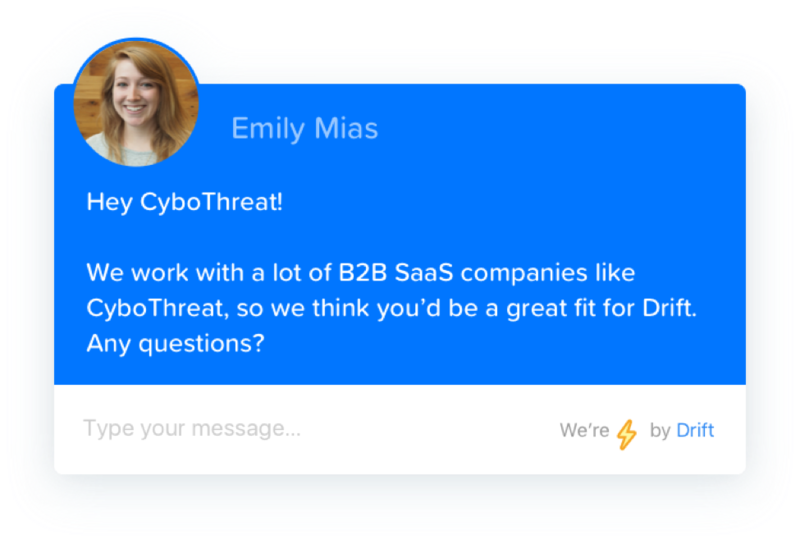 If you’re already using Clearbit Reveal, you’ll need a Drift Enterprise account to do Drift ABM. You can set up a Drift Enterprise Account here. If you have questions you can book a demo with our sales team. Next, you’ll need to add your target accounts to Drift. 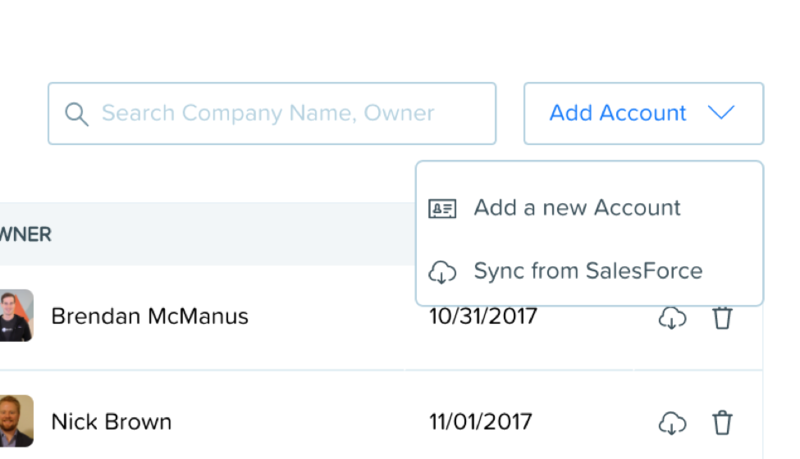 You can use Salesforce to add accounts, upload a CSV of your target accounts or if it’s a few accounts you can add them manually. Once your accounts are mapped over you’ll have owners for each of your accounts. Now you’re ready to craft personalized welcome messages. The welcome message will appear anytime someone from your target account visits your website. This is done using Clearbit Reveal, so the target accounts are identified by their IP address. In this scenario Emily Mias is the account owner of CyboThreat. 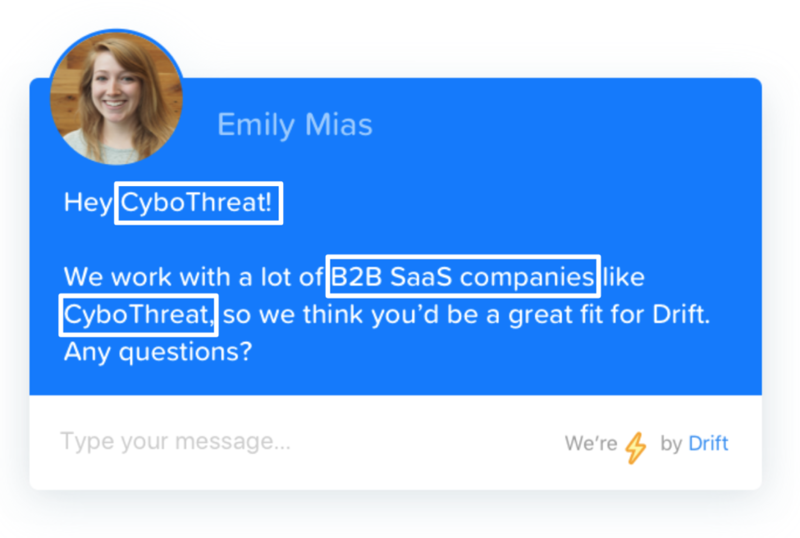 So she’s the one sales rep that will appear when anyone from CyboThreat visits drift.com. This is helpful in building a relationship with the target account: one point of contact. We work with a lot of consumer merchandise companies like Nike, so we think you’d be a great fit for Drift. Any questions? You can craft this welcome message to be whatever you want. 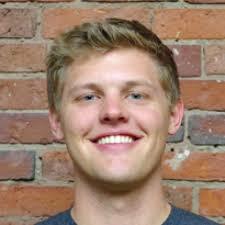 So in just a few minutes of setup, I’ve connected my target accounts to Drift, set up my welcome message and leveraged Clearbit Reveal’s rich library of company data to welcome my dream customers to my site. The only other thing you need to do is make sure your sales reps have their notification enabled, which you can do from the Account dashboard in Drift. This way your reps will also get real-time notifications when their target accounts come to their website. Here’s a figure that you should keep in mind. 57% of prospects will make up their minds before ever talking to your sales team according to a recent study conducted by Forrester. That’s why so many businesses are turning to conversational marketing to put their best leads in the fast lane. 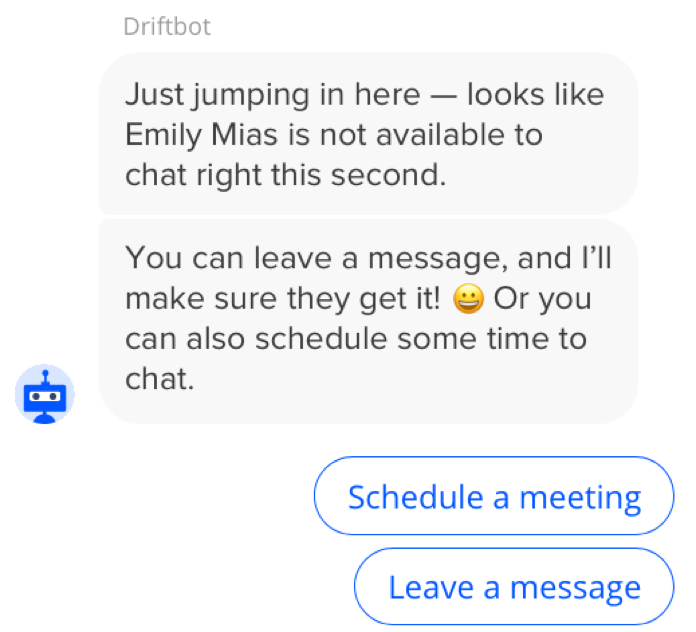 So now you’ve created automatic and personalized messages that will send to anyone visiting your website from your target account. No matter how they come to your site – through Google, an email, a link from another website, doesn’t matter, that personalized message will show. By using conversations instead of lead forms you should greatly increase the communication between your sales team and their target accounts. If you’d like to take a closer look at the future, visit drift.com/abm.